Searching for a company that can provide you with best Landscape services at affordable rates? Get in touch with us, Corliss Landscape and irrigation. We are the best Landscaping Services Manchester MA. We have been in this industry for a long time and have always provided our clients with the best services. Our services include landscape designing, installation, building walls, lawns, walks, irrigation system designing and installation etc. We also provide Landscape maintenance services. 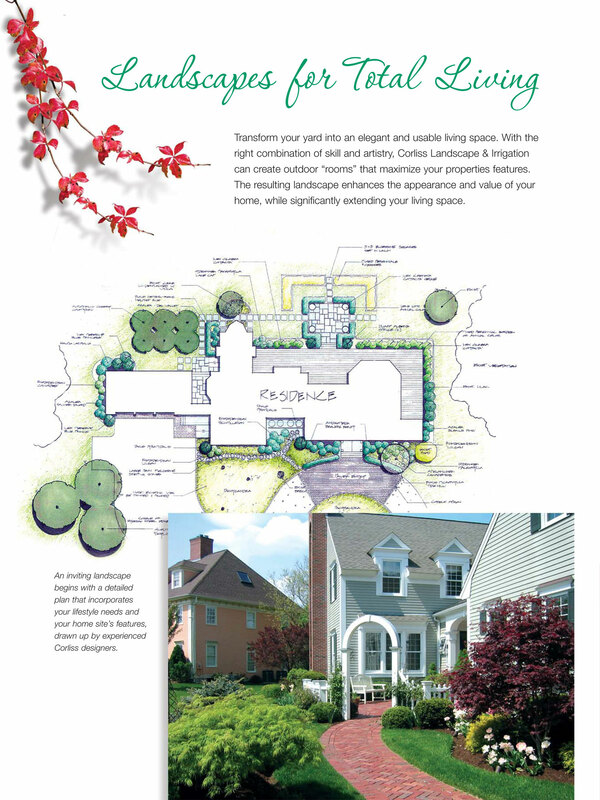 Why You Should You Hire Us As Your Landscape Company Manchester Massachusetts? Although there are many companies in Manchester MA which provide landscape services, none of them can compete with us in terms of service quality. We provide the best Landscaping Services Manchester Massachusetts at affordable rates. We provide utmost customer satisfaction with our services and thus we have a high base of loyal clients who trust our services. We have the team of best experts who provide services which even exceed the expectations of our clients. Our team members guide clients through the entire process of the service they want and also provide them with necessary consultations. We are considered as the best irrigation Company in Manchester MA because of our amazing Irrigation designing and installation services. Our wall retaining services are also very popular. We build hardscapes which are both safe and attractive. This has made us the best Retaining Wall Contractor. With our fabulous services, clients will never be disappointed. Why Our Manchester MA Landscaping Services Are The Best? So if you want to avail the services of best Landscape Company near Me, we are the best choice. We provide amazing services at affordable rates. So hurry up and call us.